Do you would like to have a tree, that behaves like in natur instead of floating trees, or onetime cuting? Of course, this can be dangerous, if a tree will fall over you, but it brings a bit more realism to minecraft. Your trees will fall down when you grab the lowest block. If you´ve any wishes please tell me! enchantment.needed: enable the enchantment and is it needed for chopping a tree with this plugin? enchantment.chance: ]0, 1] how big is the chance that your axe gets this enchantment? sendData2mcstatsorg: is my plugin allowed to show me sb uses it? I don't know if it's possible, but in case you can fix player's getting stuck when a tree falls down over its head, it would me more than great! I uploaded a new version where the player head is protected :) (configurable), the player feet might be covered by some fallen "twigs" ;). Slight hits by the tree are still possible, however the player is much saver with this option now :). Unfortunately "Monster Trees" have returned and they are eating our factions, again! The only "issue" is that giant trees seems to generate infinite logs. Maybe you can add a setting to disable giant trees to be generated in the world. infinite logs? The plugin doesn't break them, therefore I see no issue: it's just moving the blocks, not breaking them. Disabling a part of the world generation would be pretty hard to do (and it looks like there would be few people interested in it; other people commenting here may disprove this). Hi Corperate! I can assure you that the plugin generates new logs when a giant tree is falling down, somehow, then you find yourself "fighting" to cut newly generated giant massws of logs again and again in a forever loop. I had to uninstall it unfortunately, as I think it's a great plugin; small and normal trees do fall down as they are intended, but the problem are the giant trees, that you never finnish cutting them and they "invade" all nearby blocks when they "fall down" (generating new logs as said). Thank you Corperate! I wil install this great plugin again! 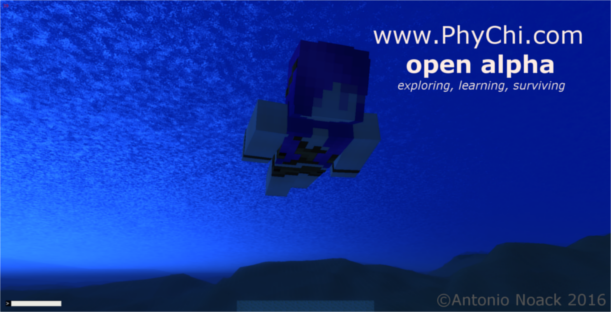 Good plugin! Can you add Worldguard and Feudal support? besides that I wrote the WorldGuard part and will upload it now :). It should be available for download before tomorrow :). Hi, I have a custom world with custom trees and when I cut down a tree only about half of it falls down. How can I make it all fall down? I'm confused by the config option explanations still. 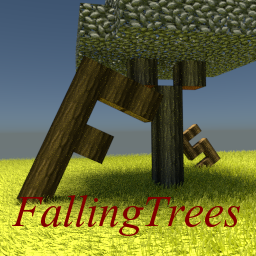 i have this plugin and noticed some bugs with it.. first of all sometimes it falls when u break leaf blocks, also when a big tree falls over the top part is still floating. there r some other minor bugs and stuff with leaves and it would be great if you could fix these because i like this plugin a lot.